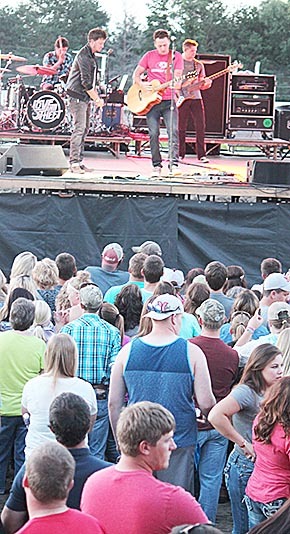 The Combine Demolition Derby/Two-Car Chain Races on Monday night, July 14, and the Love and Theft Concert on Tuesday night, July 15, were some of the entertainment highlights of the 2014 Boone County Fair. Attendance at the Combine Demo/Two-Car Chain Races was estimated at 1,700 to 1,800 people, while the Love and Theft Concert attracted an estimated 1,400 to 1,500 people. Details and more photos in the July 23 Albion News Print and E-Editions.